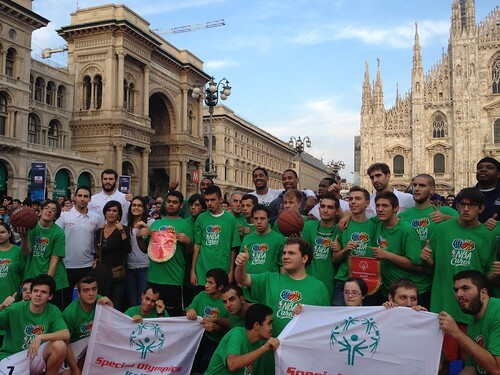 Girogios Tsiaras, Antonis Fotsis, David Chiotti and Rok Stipcevic represented EA7 Emporio Armani Milano at the “NBA Cares” special event in Piazza Duomo today, in cooperation with the “Specialy Olympics”. 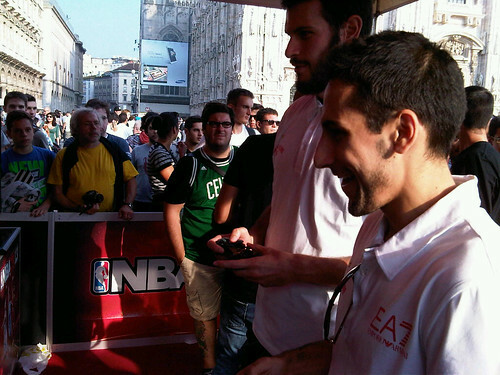 Then Fotsis and Stipcevic spent some time playing “NBA 2k13”. 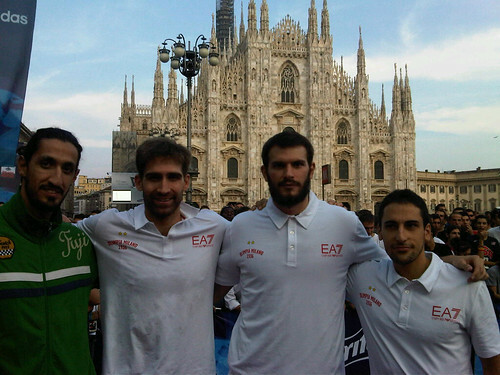 A nice way to wait for the big game tomorrow against the Boston Celtics.